UWCP is a unit that connects a diver to a surface cellular phone. Its use is not limited to underwater phone calls, but to all that can be done, having the possibility to use this communication potential (long distance communication, cell phone utility potential). Can be installed on any IDM mask. 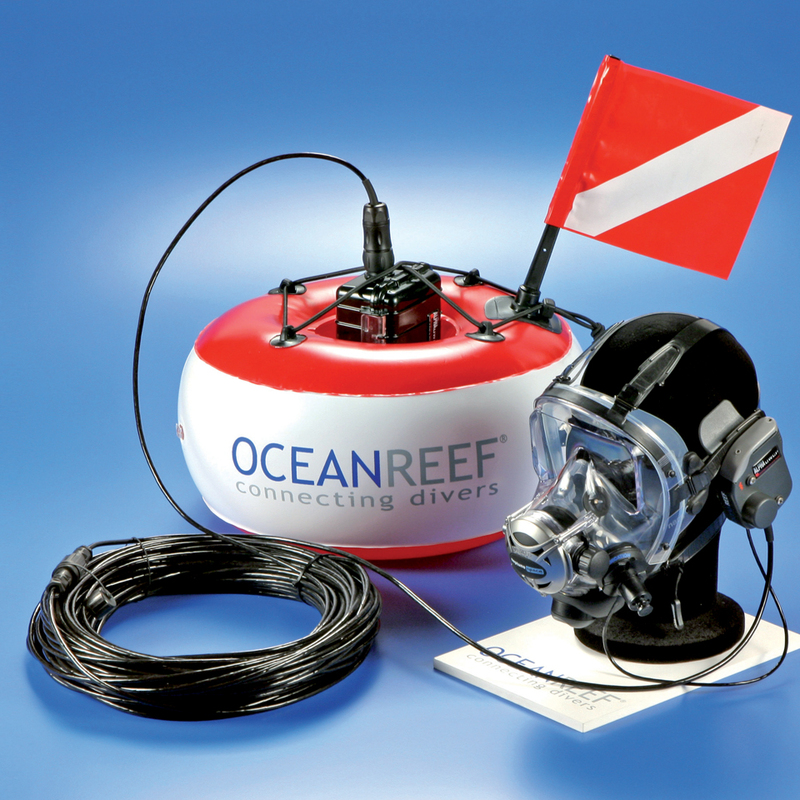 Quick release waterproof cable connection that allows the diver to separate from the cable at any moment. Quick release connection bayonet to surface unit. Impact and water resistant surface unit. Water reserve pouch in the buoy for more stability. Bluetooth connection interface to connect your own cellular phone. Cellular phone with “voice dialing” required.